Ally Condie, author of the MATCHED series, is coming to An Unlikely Story with a new YA dystopian novel! Packed with emotion, THE LAST VOYAGE OF POE BLYTHE follows a teenage ship captain as she wrestles with the overwhelming grief and blind pursuit for revenge that has consumed her for the last two years. Ally will be joined by by her friend J. Albert Mann, author of WHAT EVERY GIRL SHOULD KNOW, in an event moderated by Adrienne Kisner, author of DEAR RACHEL MADDOW. The authors will sign their books following the presentation. 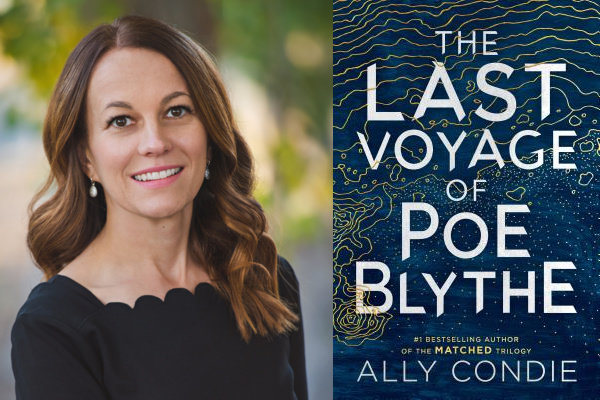 Ally Condie, the international bestselling author of the Matched trilogy, returns in an emotional and tensely plotted novel about revenge, grief, and self-reliance. Adrienne Kisner has a master’s and doctorate degree in theology from Boston University and was inspired to write DEAR RACHEL MADDOW by her work with high school and college students. She is also a graduate of Vermont College of Fine Arts with an MFA in writing for children and young adults and can be found at AdrienneKisner.com. DEAR RACHEL MADDOW is her debut.